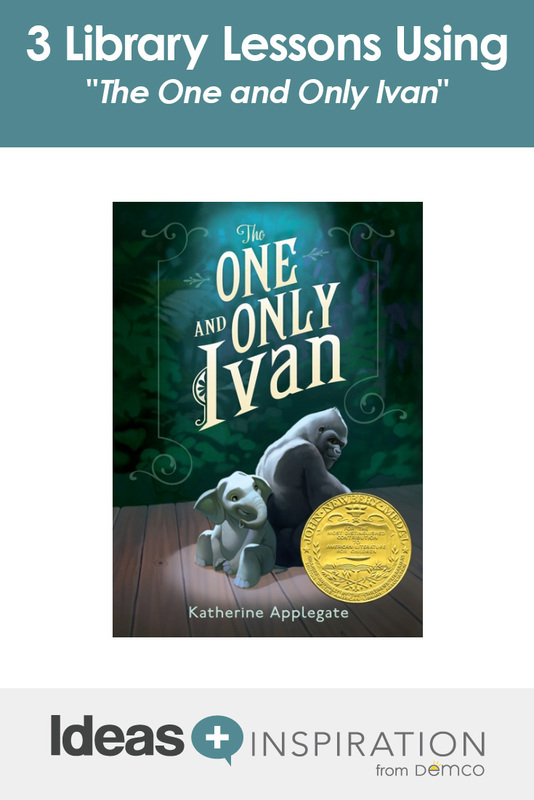 3 Library Lessons Using "The One and Only Ivan" 3 Library Lessons Using "The One and Only Ivan"
The One and Only Ivan, winner of the 2013 Newbery Medal, is based on a true story. Narrated by Ivan, a silverback gorilla, the book chronicles his constrained existence at the Exit 8 Big Top Mall and Video Arcade. Ivan is an artist and poet, and his world revolves around his animal friends, Bob the dog and Stella, an ailing elephant. Ivan spends his days watching television and drawing bananas with yellow crayons. Life changes upon the arrival of a baby elephant, Ruby, who is purchased to bring in customers to the financially struggling mall. It is when Ivan steps up to rescue Ruby from a life of woeful isolation that he ends up saving them both. Use this inspiring story to spark thoughtful learning with the following 3 lessons. Note: Students do not need to be familiar with the book to successfully participate in these lessons. Introduction: When Ivan wanted to rescue Ruby, the baby elephant, he painted the letters H-O-M-E on sheets of paper. Using individual letters, the students will copy Ivan’s behavior and spell words that relate to the story’s plot, characters and setting. The student will use selected letters to create words that answer questions and follow a specific pattern. The student will be introduced to a book’s plot, character and setting. Prepare and collect materials prior to class. Multiple copies of the letter sets may be copied, cut out and stored in envelopes. It helps with keeping the letters organized if there are different colored letter sets at each table. Introduce the lesson by showing the students the cover of the book. Ask them who they think the main characters in this story are. Ask them if they think one of these animals is Ivan and why they think that. Tell the students that this book is based on a true story. It is about a silverback gorilla named Ivan who was held in captivity at a shopping mall for a very long time. Ivan tells the story. Introduce the activity by either using Visual 1 and filling in the answers with input from the students or using Visual 2 and reviewing the completed contents. Distribute the envelopes containing the letters. Instruct the students to remove the letter squares and check to see if they have seven squares. They should have an A, E, I, M, P, R and T. Students may work independently or in pairs. Explain that students will use these letters to make words from the hints that you are going to read to them. Not all of the letters will be used to make each word. Students are to listen for the hints, use the appropriate letters, and raise their hands when they think they have the right word. Read the five statements from the Spell-It Script to the students, allowing time for word creation, and ask for the word that best answers the statement. Conclude the activity by telling the students that by using just a few letters they were able to create words that reviewed the character, setting, and plot of an award-winning book. 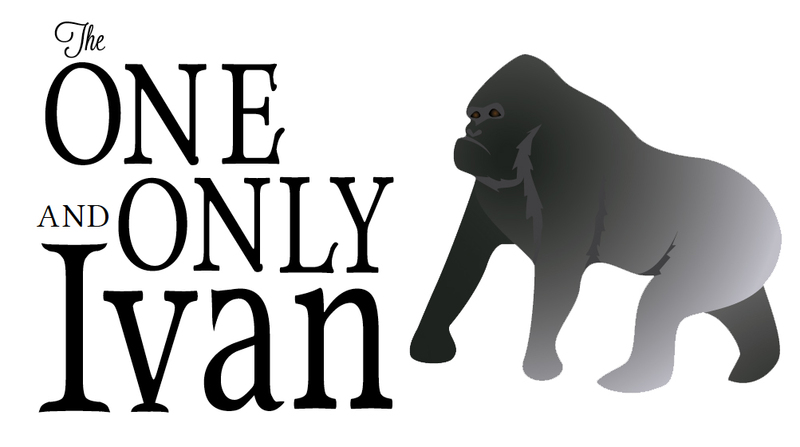 They discovered: An ape is the main character in the book The One and Only Ivan. Ivan lives in a shopping mall where he likes to eat and play on a tire swing. He and his friends form a great team as they try to rescue a baby elephant. Ivan, a tame gorilla, uses his wits to achieve his goal. If time allows, encourage students to use the letters to create other words. Possible words include ate, item, map, meat, pat, ripe, tap, tape, trap and trip. Introduction: Even though Ivan was caged, bored and isolated from others of his own kind, he was comfortable and had no motivation to seek another environment. Like Ivan, students sometimes need a reason to get out of their comfort zones. Encourage students to explore the library’s bookshelves as they search for books that may be new and different to them. The student will seek, find and list the titles of seven library books. The student will have the opportunity to read one of the selected titles and record five facts concerning the book’s content. A copy of The One and Only Ivan, by Katherine Applegate. Harper, 2012. Prepare and collect materials prior to class. 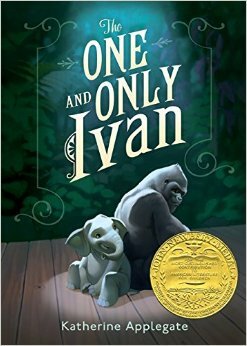 Introduce the lesson by showing students the cover of the book The One and Only Ivan. Share with the students that the main character in the book, a silverback gorilla, lived a very boring life on display in a cage at a shopping mall. Tell students that it is good to be challenged to discover something different and new, just like Ivan did in the story. Tell students that their challenge is to explore the library and discover books that they might not normally check out. They are to find books that begin with the letters in the word PRIMATE. Display the Primate Book Challenge Answer Key and read the introduction and sample booklist. Distribute the Book Challenge sheets and writing tools. Allow students to search the shelves or peruse the library’s catalog. Students may work independently or in pairs. Allow students who are unable to complete the activity to continue this activity in the classroom, as homework, or at a later library time. Introduction: Today’s lesson is brought to you by the letter “G”! Get your students involved in a “Word Workout” in the library. The student will listen and react to a narrative read by the teacher. 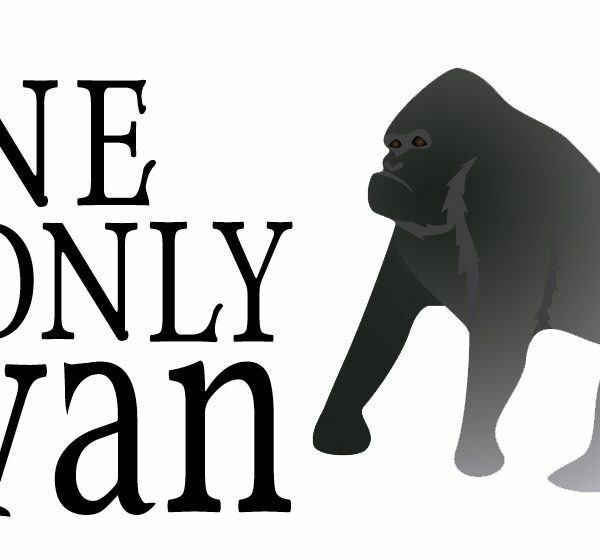 Introduce the lesson by showing students the front cover of the book The One and Only Ivan. Ask students who they think is the main character in the book. (Most students will assume that the gorilla is a male and therefore the Ivan mentioned in the title.) Explain to the students that Ivan is not only the main character but also the narrator of the story. Share with students that this book won the highest award for children’s literature, the Newbery Medal. Note: This would be an opportune time to display other award-winning books for students to examine and check out. Tell students that they will participate in an interactive activity based on the story of Ivan and the baby elephant on the cover of the book. This activity will require them to follow directions and be good listeners. Ask students to say the consonant sound at the beginning of the words great and gray. Instruct students that every time they hear the consonant sound g at the beginning of a word, they are to stand up if they are seated, or sit down if they are standing. When they hear the phrase “The end,” they are to jump up and down and make gorilla-like grunting sounds. Display the visual, and read the poem to the students, dramatically stressing the g.
Be prepared for bright and excited students who will be energized for the rest of the class period.